Basketball’s GOAT debate may still rage on in think pieces, debate shows and bar conversations on a near daily basis, but it’s settled in LeBron James‘ head … and it has been for a few years now. LeBron is the greatest of all time, according to LeBron. James apparently came to that conclusion after the 2016 NBA Finals, which were won by his Cleveland Cavaliers. After falling into a three-games-to-one series hole against the mighty Golden State Warriors, LeBron led the Cavs to three straight wins (two of them coming on the road) and recorded a triple-double in the decisive Game 7. 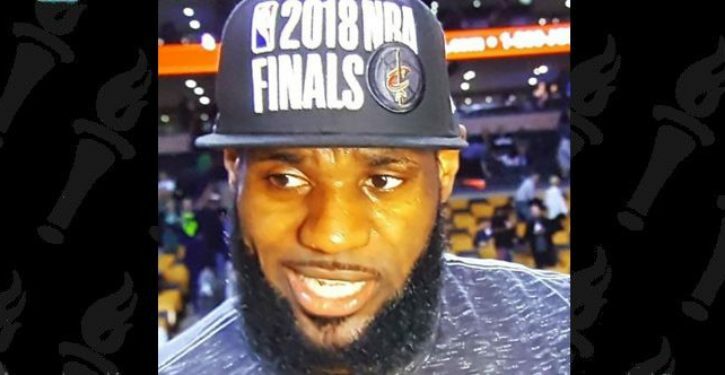 He was the unanimous Finals MVP and, more importantly, he delivered on his promise of bringing a championship to his hometown Cavaliers — their first in franchise history. At that point, LeBron was ready to call himself the best ever. “That one right there made me the greatest player of all time … that’s what I felt,” LeBron told business partners Maverick Carter, Randy Mims and Rich Paul during an episode of ESPN’s “More Than An Athlete” series that aired Sunday night.